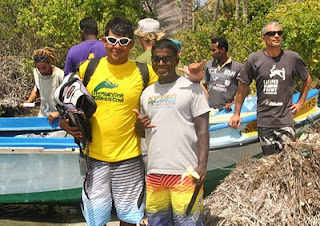 KITESURFING SRI LANKA: Sri Lankan Legend - Julian Bolling also Kitesurfs! Sri Lankan Legend - Julian Bolling also Kitesurfs! For those who are not aware, Julian Bolling is a legend. Its not the swimming fame he brought Sri Lanka but the humanity he showed to all people. He is a kitesurfer and surfer but more than that he is an inspiration to all of us. He's a man of principles, he's a man who believe in The Maker. He is a man who dedicated his life to make a change in many hundreds of persons lives. Continue to inspire Jubo.